Deciding between manual or electric wheelchairs comes down to a few basic criteria: physical needs, lifestyle, and budget. Many consumers utilize the lowest restrictive level of care when it comes to mobility aids, that is, use a manual wheelchair until their condition no longer allows, so the decision is subject to change over time. Others may choose to prepare for the future, planning on the further progression of their condition and making the investment now in a power chair. The choice is up to you. Deciding between manual and electronic wheelchairs is tough but may come down to distinct differences that make one more pragmatic than the other. As with any mobility aid, it makes the most sense to visit, try, and evaluate mobility equipment for yourself at a qualified mobility dealer or vendor in the area. What are the differences? What do you like about them? These are questions that only you can answer, based on your physical limitations, living situation, and budget. Talk to mobility experts to find out more about the wheelchairs that they endorse and sell. Make sure that delivery and support are offered before buying from any vendor. If your physical condition allows, you will likely use and shop for manual wheelchairs; the versatility, flexibility, and convenience make a manual wheelchair a winner. The user does need a specific level of physical strength to operate and navigate a manual chair, so it is typically left up to physicians, practitioners, and therapists to make the determination and appropriate referral. Your physician or therapist will assess your physical needs to determine if you have the strength for manual chairs, as well as what kinds of strain this puts on your body and overall physical health. The more active the individual is, the better. Many are encouraged to use manual chairs, even when it is a struggle at times. Your distinct clinical needs contribute to the right wheelchair. Lifestyle habits also play a role in the best chair for the consumer. 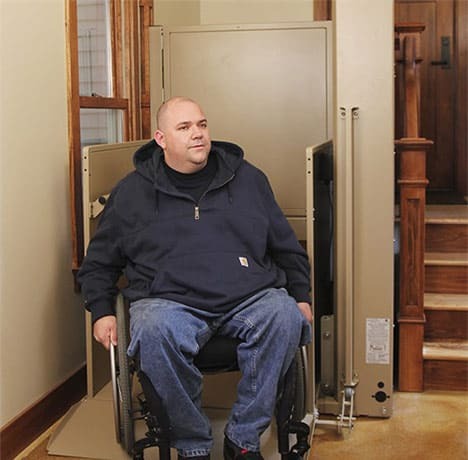 Living situations vary and some may not accommodate the size of a power chair, while others may have ramps that make manuals more difficult. There is room for some technological improvements on the conventional manual wheelchair. Specialty products and features like e-motion wheels, give the chair higher potential and the user more assistance without upgrading the entire device. Why wouldn’t anyone who requires a wheelchair prefer power wheelchairs over less-tech, manual style chairs? Some consumers may actually be a bit intimidated by the power and style of power wheelchairs. For the right client, the stability, maneuverability, and durability make power chairs an investment that keeps paying back a return over and over. These are typically powered by a battery and electric motor, rather than the sweat equity and elbow grease of the operator. The consumer can drive and maneuver the chair with the touch of a button, which makes it a viable option for many with various conditions and medical impediments. These chairs are also pragmatic for users with limited use of their limbs or that are prone to chronic fatigue. If you have a busy lifestyle, a power chair may be the best way to fend off fatigue and keep up with your schedule. You lack the strength or coordination to properly operate a manual wheelchair. A wheelchair is new to you and you simply lack muscle mass to start out with a manual chair. Again, the qualifications or criteria for a power chair may rely on the individual’s desire to remain as autonomous as possible- for as long as they can. For instance, clients with progressive conditions or that surmise a power chair is in their future, may fend-off attempts to upgrade to a power chair as long as possible, though it may be inevitable. Some may feel that to be independent means to continue using their manual wheelchairs until physical limits and pragmatism indicate that it is time for a power chair. Trying to decide between manual or electric wheelchairs? Let us help. You can rely on the expertise of the tea at Pacific Mobility when making the decision between manual and power wheelchairs. Choosing the right vendor for your chair is as big of a decision as the specific chair that you choose; make sure that you select to buy from a vendor that will work with your provider if needed, and that will provide service and support long after you take your chair home.